We decided to take our tax deduction and put it toward the purchase of a new piano. We figure this way Ava will be able to take lessons in a few years. Until that time, however, we thought we would give her the opportunity to pound out a few notes. At first she wasn't quite sure what to do. 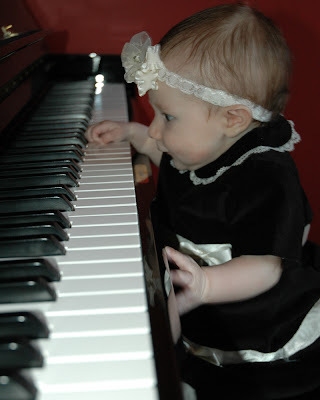 She had already received her first piano lesson from Grandpa Furr while we were in Pennsylvania, but seemed to have forgotten what she had learned. She kind of looked up at Larry as if to say, "Is it okay for me to touch this?" 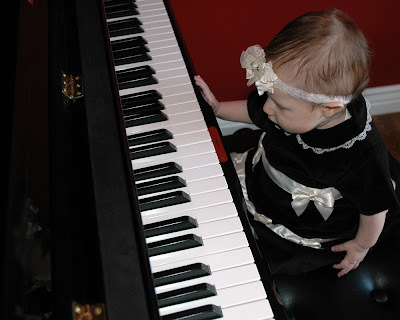 After some prompting, however, she soon gained courage and began pressing down on some keys. She sort of reminded us of Schroeder from Charlie Brown. Only much cuter and less ornery, although not quite the child prodigy Schroeder is. 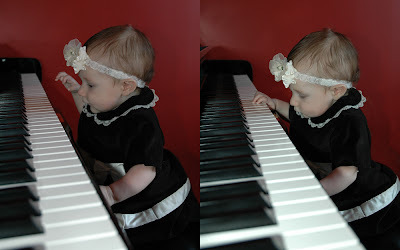 Prodigy in the making or not, she does seem to like playing the piano. We'll see if she still feels that way in a few years when she has to practice for an hour each day. By the way, before any of you go reporting us to Child Protective Services, you should be aware that Krista was supporting Ava from behind in all of these pictures. Wow...she's just too cute!! 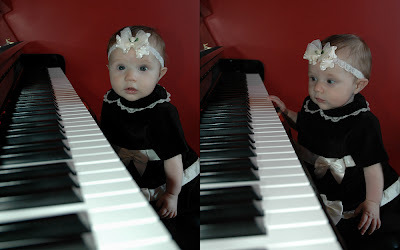 She'll be a great piano player in no time I'm sure!!! Hope things are better this week for you Krista!! Let me know when you're available to do lunch this week maybe!! I love these pictures! 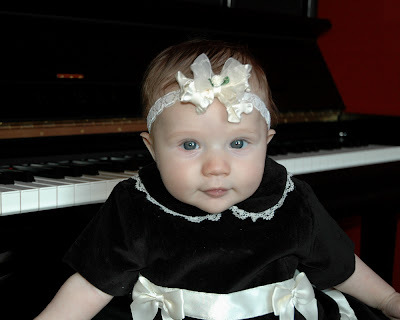 The piano and Ava both look fabulous!